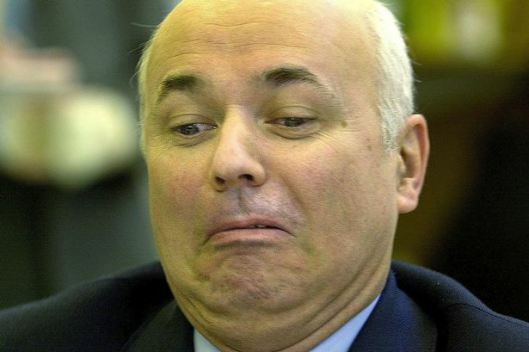 Iain Duncan Smith, UK Secretary of State for Work and Pensions, has led a robust campaign against benefits for the poor and precariat, saying he is determined to reduce state dependency and end the ‘something for nothing’ culture. Meanwhile, his own state dependency dwarfs that of any of his targets. A trust run by members of his family has received over £1 million in EU agricultural subsidies in the past decade, in addition to the various tax breaks farmers receives, courtesy of an estate of 1,500 acres inherited by his wife. The EU’s Common Agricultural Policy is regressive, since the primary beneficiaries are large landowners. While the UK government was capping benefits for the poor, claiming that nobody should receive more in benefits than the average wage, it vetoed a European Commission plan to cap the amount of money going in farm subsidies to the wealthy. (p. 312). Which bears out what a friend of mine said about the Tories: ‘The Conservatives are an organised hypocrisy’. I think he was quoting Oscar Wilde, who was certainly right there. So now you know: IDS is a benefit scrounger. Let’s have him sanctioned.